Osteoporosis is a metabolic bone disorder that results in fragile bones, bone fractures and bone deformities. Osteoporosis means “porous bone”. It is a metabolic bone disease that results from decreased bone formation, increased bone loss, or both and leads to weak and fragile bones. Frail bones break easily with no or minimal trauma, such as twisting, slipping, or even with walking. Fractures related to osteoporosis usually occur in the hip, wrist, or spine, but other bones can break too. Osteoporosis is common, silent, serious and costly. 54 million Americans have low bone mass and osteoporosis. One in two women and one in four men over the age of 50 will break a bone due to osteoporosis. Osteoporosis can surprise you because you do not feel your bones weakening. For most people, a broken bone is the first sign of osteoporosis. Others may notice that he or she is getting shorter or posture is becoming more bent forward, which is caused by silent fractures of the spinal bone or vertebrae. Fractures due to osteoporosis can cause severe pain, disability, deformity, loss of independence, and even early death. After a hip fracture, 1 in 5 elderly people will die within one year, and only 30% will return to their level of functioning and independence before the fracture occurred. Our bones are constantly remodeling, that is losing and gaining bone minerals, and generally this process is balanced while we are young. However, after menopause and as we age, bone remodeling can become out of balance and loss of bone mass may occur faster than bone growth. When this occurs, bones become porous, lose strength, and are much more likely to fracture. 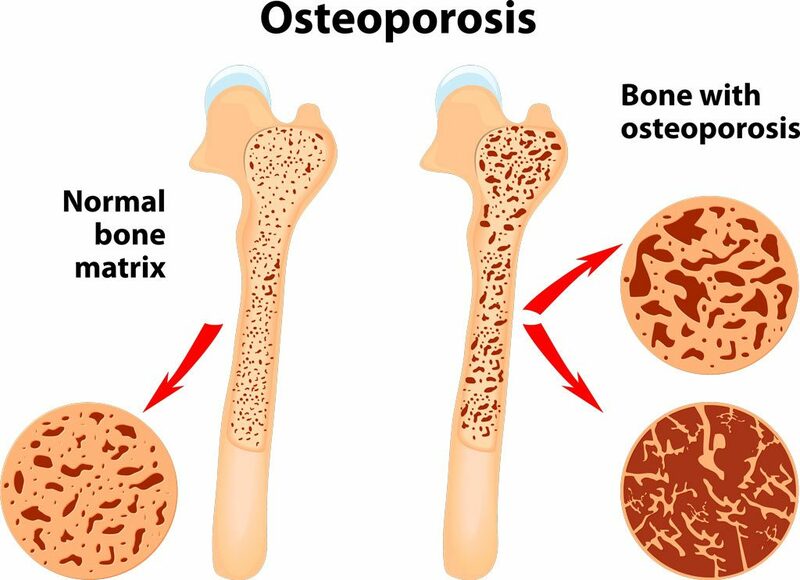 Osteoporosis can be the result of several hormonal and metabolic disorders such as hyperparathyroidism, hyperthyroidism, Cushing’s syndrome, diabetes, low testosterone in men, and menopause. Certain medications such as steroids, anti-seizure medications, cancer chemotherapies, and estrogen blockers or inhibitors may also lead to osteoporosis. There are many other medical conditions and medications that increase likelihood of osteoporosis. You can talk to your doctor about how your medical condition could lead to osteoporosis. Patients with these problems are frequently referred to an endocrinologist for evaluation and treatment. Why see an endocrinologist for osteoporosis? If your doctor has diagnosed you with osteoporosis or you’ve had fragility fractures of the spine or hip, you may be referred to an endocrinologist to confirm the diagnosis. Testing will be completed to look for other medical conditions that lead to bone loss, determine its severity, and select the best treatment. How do you detect osteoporosis? As previously mentioned, the early stages of osteoporosis are usually silent and without any symptoms. Later stages of osteoporosis include loss of height, fractures from a minor fall, and back pain due to spine fracture. Early diagnosis of osteoporosis can make a difference in protecting your bones and preventing fractures. Osteoporosis can be diagnosed in its early stage by obtaining a Bone Mineral Density (BMD) or a DEXA scan. This test is safe, painless and uses very low doses of radiation. This test measures the amount of minerals in certain bones of your body, commonly in the hip and spine, and provides essential information about your bone health. It can be performed in minutes and results are obtained soon after the test is performed. On the day of testing you should not take calcium supplements or multivitamins. We recommend wearing loose, comfortable clothing, preferably without metal. The wrist can also be measured if needed in patients who have hyperparathyroidism. We recommend screening for osteoporosis using a DEXA scan in postmenopausal women and men above the age of 50 who have risk factors for bone loss. Patients who have sustained a low impact fracture should also have a bone density testing. A good example would be the person who fractures her hip after minimal trauma. An additional test called vertebral fracture analysis may be included to identify any fractures in the spine. Treatment for osteoporosis includes identifying the cause of osteoporosis and treating any underlying condition that is contributing to bone loss. Osteoporosis treatment plans may include instruction on weight-bearing exercise and resistance training, nutrition, fall reduction strategies, and medications. Keeping your bones healthy through regular exercise (weight-bearing exercise and resistance training) and good nutrition may be helpful in preventing osteoporosis. Be sure that you are getting enough calcium in your diet, 1000 mg until the age of 50 for women and 70 for men, then increase to 1200 mg per day. Vitamin D helps your body absorb calcium. If you are not exposed to adequate sunlight, consider taking a supplement. A multivitamin typically contains a safe and proper dosage but some patients will require a higher dose. Smoking, excessive alcohol, caffeine and carbonated beverage intake should be avoided. There are several types of medications we use for prevention and treatment of osteoporosis including hormone replacement therapy, raloxifene, bisphosphonates, denosumab, teriparatide and abaloparatide. These medications can substantially reduce the risk of fracture and minimize further bone loss. The Endocrinologists at Endocrine Associates of Dallas and Plano will work with you to individualize your treatment plan, and chose a treatment that is best for you while minimizing the risk of side effects of some of these medications. Our Endocrine providers will walk you through the pros and cons of all options and adapt your treatment on a yearly or semi-yearly basis. What is a Fracture Liaison Service (FLS)? Studies have shown that patients who experienced a fragility or osteoporotic fracture have a very high chance of getting another fracture in the upcoming years. Starting treatment early can greatly reduce this risk. FLS is a program developed to identify such patients in order to get them the right medical care and ensure that they don’t break any more bones. Endocrine Associates of Dallas and Plano are part of this initiative. If you have been diagnosed with osteoporosis and would like a consultation with the endocrinology specialists at EAD, please ask your doctor for a referral to our office. 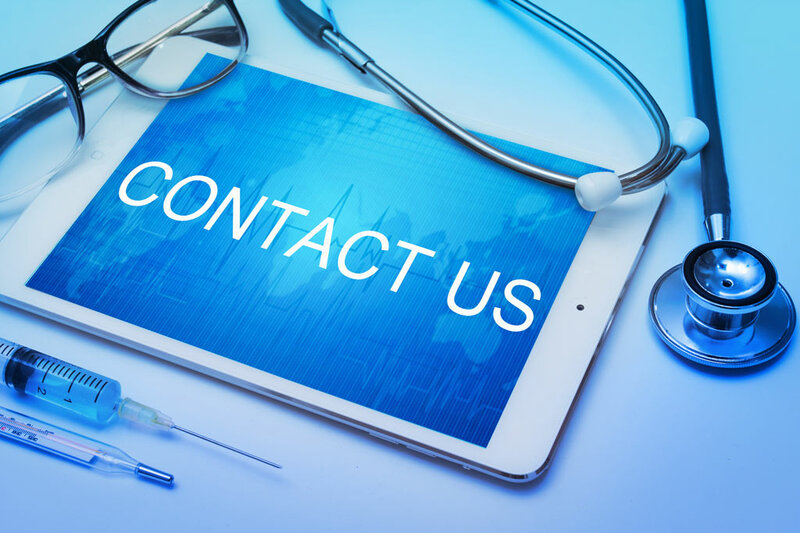 If you would like to schedule an appointment with one of our endocrinologists at the Endocrinology Associates of Dallas (EAD) and Plano please have your physician referral available when you call our Dallas office at 214-363-5535 or Plano office at 972-867-4658.